George V ( Four Seasons) Hotel. 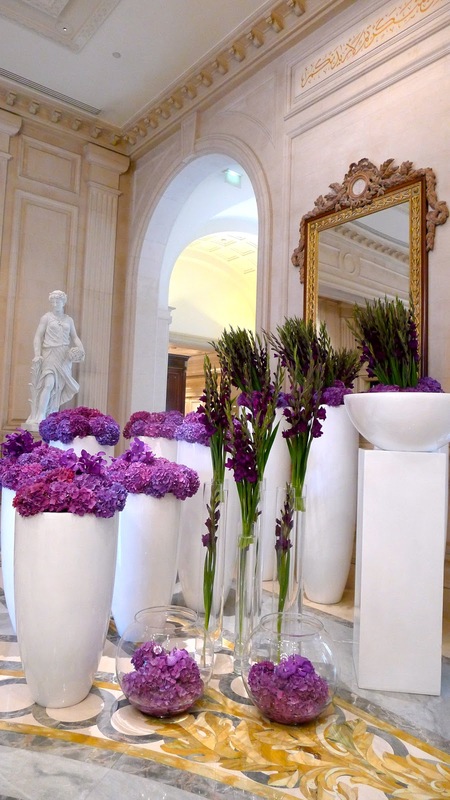 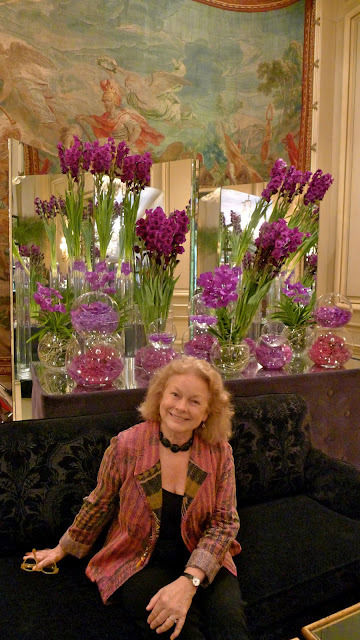 For this September he had used all shades of purple in orchids, hydrangeas and even the good old gladioli. 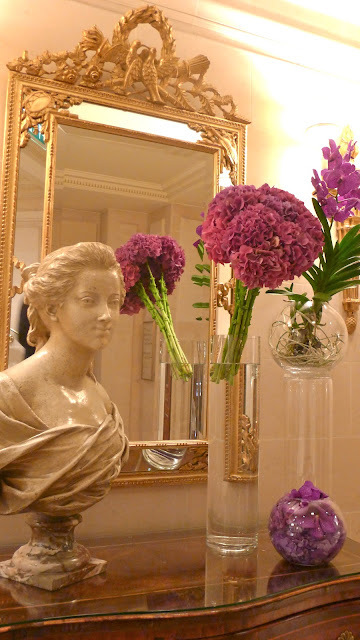 Can recommend a lunch or high tea here - the service is warm and friendly and you get to see Jeff's flowers for free !